The chances are that almost every movie star that you have seen on the big screen has appeared in a short film. Usually, actors and actresses start out making shorts before moving on to feature-length films. Short films serve as an excellent training ground where future stars can hone their skills and develop all the qualities that they will need to become a Hollywood great. Stars are not the only ones as nearly every single member of a film production crew usually began their career working on short movies. It is for this reason that we should all support short films. While short filmmakers are still frustrated by their inability to get their films up on the big screen, technology has come to the rescue. Live streaming sites such as Sofy.tv are dedicated to supporting short films. By just watching the shorts that so many great filmmakers have worked tirelessly to create, we can all help get these films the recognition that they deserve. While most aspiring actors and actresses start out making short films, as soon as they make the step up to feature films, sadly all too often they seem to turn their backs on shorts forever. This is very ungrateful given that without this branch of film they would never have gotten a break at all. Fortunately, there are a few stars out there that have chosen to forget about the big payday and instead to give a little bit back to the short film medium. What follows is a list of our favorite stars that have appeared in short films. Comedy genius Bill Murray has been a household name since the 1980’s. He appeared in some of the biggest blockbuster comedies movies ever made. His resume includes films such as Ghostbusters, Groundhog Day, Caddyshack, and Stripes. 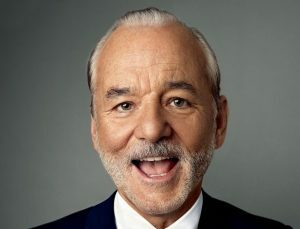 Just as it looked that his career might be about to slide, as it has for so many comedy actors of his generation, Murray completely reinvented himself with appearances in Lost in Translation (2003) and The Royal Tenenbaums (2001). Murray appeared in several short films early in his career but surprised fans by appearing in FCU: Fact Checkers Unit back in 2007. It is a bizarre spy movie where two magazine fact checkers begin to spy on Murray. Actor Billy Bob Thornton shot to superstardom after winning the Best Writing Academy Award for Sling Blade (1996). He was also nominated for the Best Actor award for his performance as a man being released after years in hospital for murdering his mother and her lover. The film caused a storm in the global film festival circuit, winning a slew of awards. 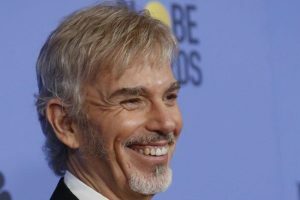 Having written, directed, and stared in the film, Billy Bob Thornton suddenly found himself an A-list Hollywood star. He would go on to star in A Simple Plan (1998), and Bad Santa (2003), among other films. His performance in the Coen Brothers film The Man Who Wasn’t There (2001) was arguably his best as a Hollywood star. Unlike many others, Thornton did not begin his career starring in short movies. He started out working in TV movies before he was able to get the funding to make Sling Blade. Despite his fame, Billy Bob Thornton chose to appear in the short The Last Real Cowboys (2000). The film is a comedy western that takes place around a campfire. Two cowboys discuss the past and future of the old west. 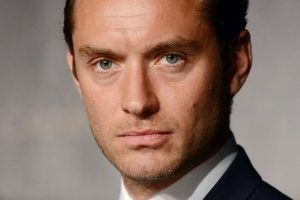 British actor Jude Law was once regarded as one of the sexiest stars in Hollywood. Adored by fans all over the world, Law is another star who never turned his back on short films. Early in his career, Law made a short film called The Crane (1993). Despite never really becoming an established lead actor in Hollywood, Law became a popular supporting actor. He starred opposite Matt Damon in The Talented Mr. Ripley (1999), Haley Joe Osmond in Steven Spielberg’s AI (2001), and Robert Downey Jr. in Sherlock Holmes. In recent years, Law has helped the short film industry enormously by appearing in numerous shorts. He appeared in Connection (2013), The Gentleman’s Wager (2014), and The Roof (2016). Our heartfelt thanks go out to you Jude Law for doing so much to support short films. Keep up the good work. Thanks to the global box office success of The Fast and Furious series, Vin Diesel is a global superstar. He has legions of fans in the United States, Europe, Asia, and just about everywhere else on the planet. Vin Diesel demands multimillion-dollar paychecks for every film he appears in. The reason he can do so is that his name guarantees massive box office returns. 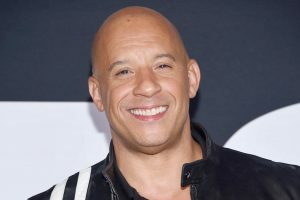 It is for this reason that Vin Diesel is the most surprising name to appear on a list of stars who have appeared in short films. In 2015, he appeared in the short D&Diesel in which he and another group of characters join forces to find out why their land is cursed. If you haven’t seen the TV show Breaking Bad then you must have been living in outer space. 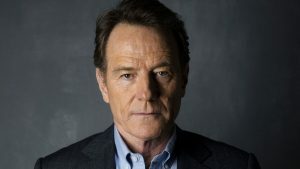 Unknown actor Bryan Cranston starred as chemistry teacher Walter White, who after finding out he is dying from cancer decides to begin synthesizing methamphetamine to pay for his treatment. The show was watched by millions and was critically acclaimed for its originality. It would make Cranston a star and land him roles in some top Hollywood movies. He has since appeared in Godzilla (2014), Kung Fu Panda 3 (2016), and The Infiltrator (2016). Despite having already achieved fame, Cranston starred in the short film Writer’s Block in 2013. The film tells the tale of a frustrated screenwriter and a woman that begins to make him blur fact and fiction.